Harsh environments found around the world harbor unique organisms adapted to extreme ranges in climatic, edaphic, and other environmental variables. Whether they occur in extreme climates such as alpine summits or inland deserts, in habitats frequently disturbed by fire or floods, or on edaphic islands created by unique geologies or anthropogenic contamination, the adaptations demonstrated by organisms found in such environments shed light on basic and applied aspects of ecology and evolution. 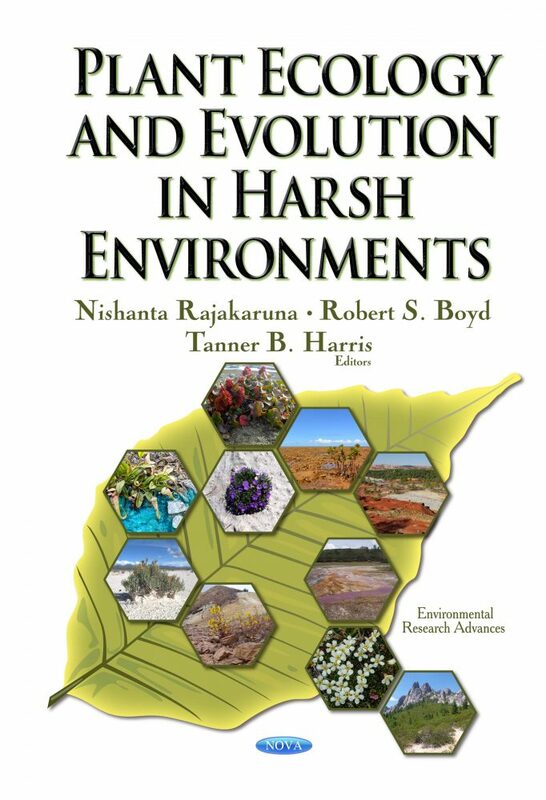 This volume brings together current research on plants, fungi and microbes from harsh environments to reveal underlying patterns and common themes of these especially challenging habitats. Topics include the role of bedrock geochemistry and soil evolutionary processes in generating extreme habitats; the biology, ecology, and evolution of non-vascular and vascular plants, lichens, herbivores and pathogens, mycorrhizal fungi, and other beneficial microbes found in extreme environments. Habitats discussed in the book include alpine and arctic settings, fire-prone Mediterranean climates, serpentine outcrops, gypsum soils, metal-rich mine tailings, and saline soils. In addition to summarizing current research, the Editors highlight new tools and emerging techniques in high-throughput phenotyping, genomics, and phylogenetics that are being used to develop our understanding of evolution in harsh environments. They also emphasize results gained from classical ecological approaches which allowed them to examine adaptation to and evolution in harsh environments. In addition to discussing basic research, the Editors cover applied work focusing on the threats posed by climate change and other anthropogenic impacts as well as efforts to restore and protect extreme habitats and the unique organisms they harbor. Chapter 16. Synthesis and Future Directions: What Have Harsh Environments Taught Us about Ecology, Evolution, Conservation, and Restoration?